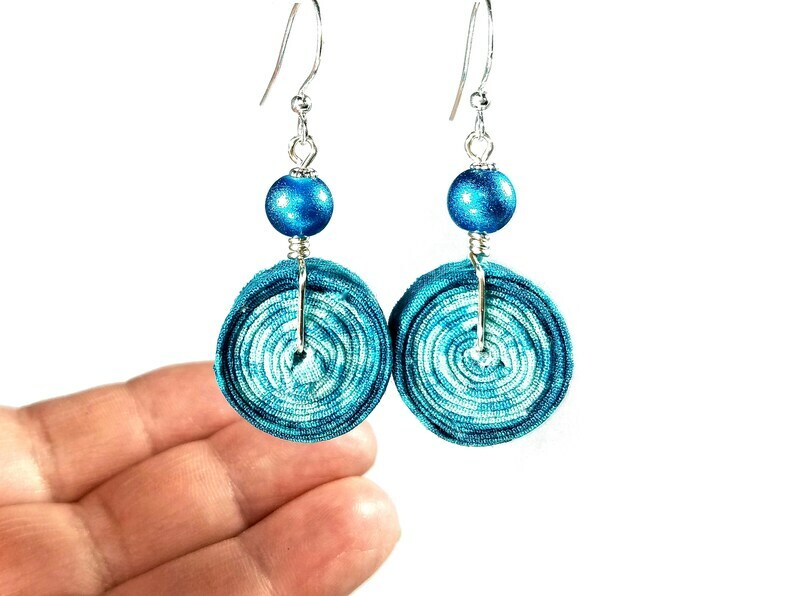 Blue aqua earrings upcycled from scrap fabric which is coiled into beads with shimmery aqua glass bead accents. 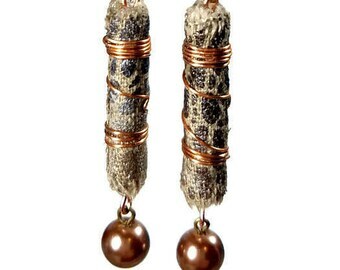 Chunky handmade fabric beads are 7/8" diameter and 1/2" thick with silver plated ear wires. Great color for summer! 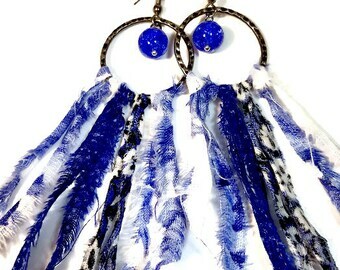 Super fun and unique, these fabric dangle earrings make great gifts packaged in a cute recycled decorative box. 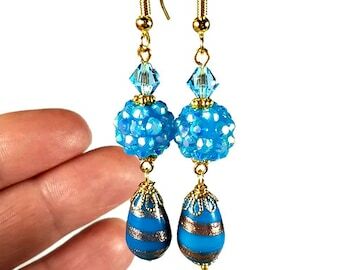 - Unique design you will not see these aqua earrings on anyone else! 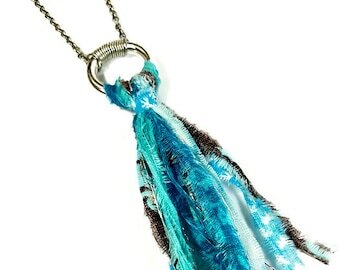 Blue Brooch, Repurposed Denim Jewelry, Fiber Art Jewelry, Upcycled, Artsy Gift For Woman, REAL Handmade Jewelry on Etsy!